Layla has been really into drawing cats for a while now and has become pretty good at it! She’s also does school art club. 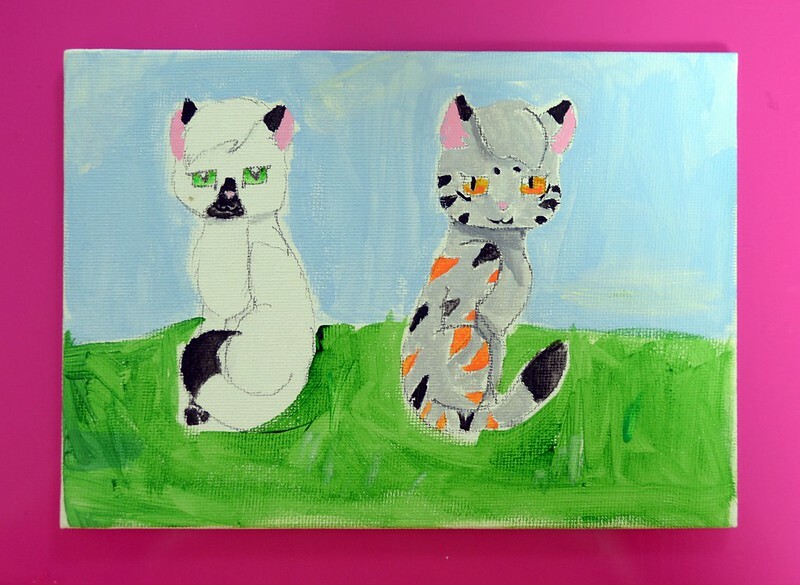 Today they painted little canvas boards. She said paint is a lot harder to work with than pencils but I think she did a great job!